Dr. Arnold Breitbart is accomplished in the wide spectrum of plastic surgery. From his offices in Manhattan and Long Island, he provides renowned cosmetic surgery services to patients seeking abdominoplasty, Liposuction, breast augmentation, breast lift, breast reduction, face lift, rhinoplasty, blepharoplasty, gynecomastia surgery, and other body contouring procedures. He also offers non-invasive treatments such as Restylane®, BOTOX® Cosmetic, JUVÉDERM™ Injectable Gel, and Voluma® injections. Dr. Breitbart's office surgery center is certified by the American Association for Accreditation of Ambulatory Surgery Facilities (AAAASF), which allows him to perform many of these cosmetic surgery procedures in his state-of-the-art operating suite. Dr. Breitbart has been a high-profile plastic surgeon for many years and has been featured in Glamour, Allure, Self, Newsday and on NBC news. 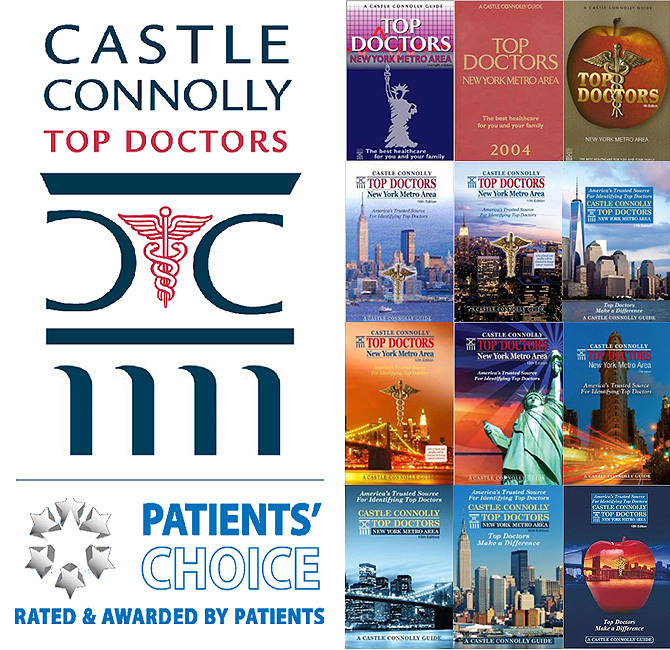 Additionally, Dr. Breitbart has been honored repeatedly by Castle Connolly as one of the top plastic surgeons in the New York metropolitan area, and has been named by Newsday as one of the top plastic surgeons on Long Island. At the forefront of cosmetic surgery, Dr. Breitbart has published more than 40 articles and presented at more than 50 national and international plastic surgery conferences. Outside of his Manhattan and Long Island cosmetic surgery practices, Dr. Arnold Breitbart has academic appointments as Assistant Professor of Clinical Surgery at Columbia University College of Physicians and Surgeons, and at Weill Cornell University Medical College. He is board certified by the American Board of Plastic Surgery and the American Board of Surgery. Dr. Breitbart has a keen interest in art and the artistry of cosmetic surgery. He studied art history while at Princeton, and has taken drawing classes at the Art Students League and School of Visual Arts in New York. Plastic Surgery Education Foundation, 1993 for study "Tricalcium phosphate and osteogenin: a bioactive onlay bone graft substitute." McCarthy, JG, LaTrenta, GS, Breitbart, AS, and Grayson, BH. The LeFort III advancement osteotomy in the child under seven years of age. Presented at the American Association of Plastic Surgeons, Palm Beach, Florida on May 3, 1988. LaTrenta, GS, Breitbart, AS, and McCarthy, JG. Can fixation increased bone graft survival? Presented at the Plastic Surgery Research Council, San Francisco, California on May 20, 1988. Breitbart, AS, LaTrenta, GS, and McCarthy, JG. Bone graft augmentation of the craniofacial skeleton: Can rigid skeletal fixation increased bone graft survival? Presented at the Annual Resident's Research Night, Institute of Reconstructive Plastic Surgery, NYU Medical Center on June 14, 1988. McCarthy, JG, LaTrenta, GS, Breitbart, AS and Grayson, BH. The LeFort III advancement osteotomy in the child under seven years of age. Presented at the International Society of Craniomaxillofacial Surgeons, Florence, Italy, June 1988. LaTrenta, GS, Breitbart, AS and McCarthy, JG. Can rigid skeletal fixation increase bone graft survival? Presented at the International Society of Craniomaxillofacial Surgeons, Florence, Italy, June, 1988. LaTrenta, GS, Breitbart, AS, and Mccarthy, JG. Can rigid skeletal fixation increase bone graft survival? Presented at the Northeastern Society of Plastic Surgeons, Washington, DC on September 10, 1988. McCarthy, JG, LaTrenta, GS, Breitbart, AS, Zide, B, and Cutting, C. Hypertelorism correction in the young child. Presented at the American Society of Plastic and Reconstructive Surgeons, Toronto, Ontario on October 4, 1988. Breitbart, AS, Rubinstein, J, Glat, P, Staffenberg, D, Beasley, RW, Growwman, JAI, and Casar, R. Small joint arthrodesis: an experimental animal model with clinical correlation. Presented at the Annual Resident's Research Night, Institute of Reconstructive Plastic Surgery, NYU Medical Center on June 15, 1992. Breitbart, AS, Staffenberg, D, Glat, P, Cunningham, N, Reddi, AH, Ricci, J, Steiner, G, McCarthy, JG and Thorne, CH. Tricalcium phosphate and osteogenin: a bioactive onlay bone graft substitute. Presented at the New York Academy of Medicine Section on Plastic and Reconstructive Surgery, New York on March 8, 1993. Breitbart, AS, Staffenberg, D, Glat, P, Rubinstein, J, Casar, R, Grossman, JAI and Beasley, RW. An experimental animal model of small joint compression arthrodesis. Poster presentation at the Plastic Surgery Research Council, Houston, Texas on April 30, 1993. Breitbart, AS, Staffenberg, D, Glat, P, Cunningham, N, Reddi, AH, Ricci, J, Steiner, G, McCarthy, JG and Thorne, CH. Tricalcium phosphate and osteogenin: a bioactive onlay bone graft substitute. Presented at the Plastic Surgery Research Council, Houston, Texas on April 30, 1993. Breitbart, AS, Staffenberg, D, Glat, P, Cunningham, N, Reddi, AH, Ricci, J, Steiner, G, McCarthy, JG and Thorne, CH. Tricalcium phosphate and osteogenin: a bioactive onlay bone graft substitute. Presented at the Plastic Surgery Senior Residents Conference, San Diego, California on May 25, 1993. Breitbart, AS, Staffenberg, D, Glat, P, Rubinstein, J, Casar, R, Grossman, JAI, and Beasley, RW. An experimental animal model of small joint compression arthrodesis. Poster presentation at the American Society for Surgery of the Hand, Kansas City, Missouri on September 29, 1993. Breitbart, AS, Staffenberg, D, Glat, P, Cunningham, N, Reddi, AH, Ricci, J, Steiner, G, McCarthy, JG and Thorne, CH. Tricalcium phosphate and osteogenin: a bioactive onlay bone graft substitute. Presented at the Northeastern Society of Plastic Surgeons, Pittsburgh, Pennsylvania on September 10, 1993. Breitbart, AS, Staffenberg, D, Glat, P, Cunningham, N, Reddi, AH, Ricci, J, Steiner, G, McCarthy, JG and Thorne CH. Tricalcium phosphate and osteogenin: a bioactive onlay bone graft substitute. Presented at the International Society of Craniofacial Surgery, Oaxaca, Mexico on October 25, 1993. McCarthy, JG, Breitbart, AS, Glasberg, S, Gosain, A, Grayson, B, Karp, N, Schreiber, J, Staffenberg, D, Thorne, C and Wood, R. Distraction osteogenesis of the craniofacial skeleton: a laboratory and clinical overview. Presented at the International Society of Craniofacial Surgery, Oaxaca, Mexico on October 26, 1993. Breitbart, AS, Grayson, BH and McCarthy, JG. A cephalometric vector analysis of mandibular expansion. Presented at the Workshop on Distraction of the Craniofacial Skeleton, New York, New York on March 19, 1994. Breitbart, AS, Staffenberg, D, Glat, P, Cunningham, N, Reddi, AH, Ricci, J, Steiner, G, McCarthy, JG and Thorne, CH. Tricalcium phosphate and osteogenin: a bioactive onlay bone graft substitute. Presented at the American Cleft Palate Association/American Society of Craniofacial Surgeons, Toronto, Ontario on May 20, 1994. Roth, DA, Longaker, MT, Breitbart, AS, McCarthy, JG and Gold, LI. The role of transforming growth factor B1 in rat cranial suture fusion. Presented at the Plastic Surgery Research Council, Ann Arbor, Michigan on June 6, 1994. Roth, DA, Longaker, MT, Breitbart, AS, McCarthy, JG and Gold, LI. The role of transforming growth factor B1 in rat cranial suture fusion. Presented at the American Society of Plastic and Reconstructive Surgeons, San Diego, California on September 26, 1994. Breitbart, AS, Grande, DA, Kessler, R, and Grant, RT. Repair of calvarial defects using cultured periosteal cells. Poster presentation at the Plastic Surgery Research Council, New York, New York, May 18-20, 1995. Breitbart, AS, Grande, DA, Kessler, R, and Grant, RT. Tissue engineered bone repair of calvarial defects using cultured periosteal cells. Presented at the International Society of Craniofacial Surgery, St. Tropez, France on October 21, 1995. Breitbart, AS. Recent advances in bone graft substitutes using bone growth factors and tissue engineering techniques. Presented at the Nassau Surgical Society Annual Meeting, December 6, 1995. Breitbart, AS, Grande, DA, Kessler, R and Grant, RT. Tissue engineered bone repair of calvarial defects using cultured periosteal cells. Presented at the Craniofacial Surgery: State of the Art Symposium, New York, New York on March 21, 1996. Grant, RT, Breitbart, AS, and Parnell, V. Muscle flap reconstruction of pediatric post-sternotomy wound infection. Presented at the Northeastern Society of Plastic Surgeons, Washington, DC on October 11, 1996. Breitbart, AS, Grande, DA, Kessler, R, and Grant, RT. Bone consolidation of critical size calvarial defects using cultured periosteal cells. Presented at the Plastic Surgery Research Council, Galveston, Texas on February 28, 1997. Breitbart, AS, Grande, DA, Kessler, R, and Grant, RT. Tissue engineered bone consolidation of critical size calvarial defects using cultured periosteal cells. Presented at the International Symposium on Advances in Tissue Engineering and Biomaterials, York, England on July 21, 1997. Breitbart, AS, Grande, DA, Kessler, R, and Grant, RT. Bone consolidation of critical size calvarial defects using cultured periosteal cells. Poster presentation at the International Society of Craniofacial Surgery, Santa Fe, New Mexico, September 14-17, 1997. Garbus, J, Breitbart, A, DeNoto, G, and Gadaleta, D. A multi-disciplinary approach to the management of complex multiple enterocutaneous fistulae. Poster presentation at the American College of Surgeons, Chicago, Illinois, October 12-17, 1997. Breitbart, AS, Grande, DA, Kessler, R, and Grant, RT. Tissue engineered bone consolidation of cranial defects using cultured periosteal cells. Presented at the International Interdisciplinary Congress on Craniofacial and Skull Base Surgery, Cancun, Mexico, January 22, 1998. Breitbart, AS, Mason, JM, Grande, DA, James, T, and Grant, RT. Gene modified tissue engineering: Applications for wound healing using cultured dermal cells transduced with PDGF gene. Presented at the Plastic Surgery Research Council, Loma Linda, California, on April 6, 1998. Mason, JM, Grande, DA, Barcia, M, Pergolizzi, RG, and Breitbart, AS. Gene therapy/tissue engineering combination for bone and cartilage repair using bone morphogenetic protein 7. Poster presentation at the American Society of Gene Therapy, Seattle, Washington, May 28-31, 1998. Breitbart, AS, Grande, DA, Mason, JM, James, T, and Grant, RT. Gene modified tissue engineering: Applications for bone healing using cultured periosteal cells retrovirally transduced with BMP-7 gene. Presented at the Northeastern Society of Plastic Surgeons, Newport, Rhode Island, October 23, 1998. Breitbart, AS, Grande, DA, Mason, JM, James, T, and Grant, RT. Bone repair using cultured periosteal cells retrovirally transduced with BMP-7 gene. Presented at the Tissue Engineering Society, Orlando, Florida, December 4, 1998. Mason, JM, Breitbart, AS, Barcia, M, Pergolizzi, RG, and Grande, DA. Gene therapy/tissue engineering combination for cartilage repair using bone morphogenetic protein 7. Poster presentation at the American Society of Gene Therapy, Washington, DC, June 9-13, 1999. Mason, JM, Grande, DA, Barcia, M, Urmacher, C, Pergolizzi, RG, and Breitbart, AS. Gene therapy/tissue engineering combination for wound healing using hPDGF-B and hVEGF121 genes. Poster presentation at the American Society of Gene Therapy, Washington, DC, June 9-13, 1999. Breitbart, AS, Mason, JM, Malhotra, S, Grant, RT, and Grande, DA. Gene enhanced tissue engineering for treatment of ischemic wounds using PDGF and VegF Genes. Presentation at the Plastic Surgery Research Council, Seattle, WA, May 18-20, 2000. Breitbart, AS, Grande, DA, Malhotra, S, Grant, RT, and Mason, JM. Treatment of ischemic wounds using cultured dermal fibroblasts retrovirally transduced with PDGF and VegF genes. Presentation at the annual meeting of the Northeastern Society of Plastic Surgeons, Montreal, Canada, September 14-16, 2000. Breitbart, AS, Gadaleta, D, Grant, RT, Bessler, M, and Fischer, E. Body Contouring Procedures Following Massive Weight Loss After Gastric Bypass for Morbid Obesity. Poster presentation at the annual meeting of the American Society for Aesthetic Plastic Surgery, New York, New York, May 4-9, 2001. Breitbart, AS, Laser, J, Parrett, B, Grande, DA, Grant, RT, Mason, JM. Accelerated diabetic wound healing using cultured fibroblasts retrovirally transduced with the PDGF gene. Presentation at the annual meeting of the Northeastern Society of Plastic Surgeons, Philadelphia, PA, October 4-6, 2001. Kogon, AJ, Parrett, B, Laser, J, Nanda, D, Grant, RT, Breitbart, AS. The multipotentiality of fat derived stem cells. Presentation at the annual meeting of the Plastic Surgery Research Council, Boston, MA, April 17-20, 2002. Breitbart, AS, Parrett, B, Laser, J, Grande, DA, Grant, RT, Mason, JM. Accelerated diabetic wound healing using cultured fibroblasts retrovirally transduced with the PDGF gene. Presentation at the annual meeting of the Plastic Surgery Research Council, Boston, MA, April 17-20, 2002. Breitbart, AS, Parrett, B, Kogon, A, Laser, J, Lee, J, Conejero, A, Grant, RT. The multipotentiality of fat-derived stem cells. Presentation at the annual meeting of the Northeastern Society of Plastic Surgeons, Bermuda, October 1-3, 2002. Lee, JA, Parrett, BM, Nanda, D, Grant, RT, Mason, JM, and Breitbart, AS. The effect of lentiviral transfection of the PDGF gene into the regenerating dermis of diabetic wounds. Presentation at the annual meeting of the Plastic Surgery Research Council, Las Vegas, NV, April 25, 2003. Conejero, JA, Lee, JA, Parrett, BM, Nanda, D, Grant, RT, Schmidt, AM, and Breitbart, AS. Topical sRAGE increases the amount and vascularity of granulation tissue in diabetic wounds. Presentation at the annual meeting of the Plastic Surgery Research Council, Las Vegas, NV, April 25, 2003. Parrett, BM, Lee, JA, Conejero, JA, Nanda, D, Grant, RT, and Breitbart, AS. The in vivo growth of osteocytes and adipocytes differentiated from fat-derived stem cells. Presentation at the annual meeting of the Plastic Surgery Research Council, Las Vegas, NV, April 26, 2003. Conejero, JA, Lee, JA, Wear-Magitti, K, Grant, RT, and Breitbart, AS. Use of osteogenically differentiated fat-derived stem cells in poly-l-lactic acid matrices to reconstruct palatal defects in a rat model. Presentation at the annual meeting of the Northeastern Society of Plastic Surgeons, Baltimore, MD, October 2-4, 2003. Lee, JA, Conejero, JA, Parrett, BM, Wear-Magitti, KD, Kamdar, MR, Grant, RT, Mason, JM, and Breitbart, AS. Transfecting the PDGF gene via lentiviral vector into the regenerating dermis of diabetic mice enhances angiogenesis and collagen deposition. Presentation at the annual meeting of the Northeastern Society of Plastic Surgeons, Baltimore, MD, October 2-4, 2003. Wear-Maggitti, KD, Lee, JA, Conejero, JA, Parrett, BM, Chen, JY, Schmidt, AM, Grant, RT, and Breitbart, AS. Use of topical sRAGE in diabetic wounds increases neovascularization and the amount of granulation tissue formed. Presentation at the annual meeting of the Northeastern Society of Plastic Surgeons, Baltimore, MD, October 2-4, 2003. Breitbart, AS, Gadaleta, D, Bessler, M, Parrett, B, Grant, R. Body contouring procedures following gastric bypass – a series of 52 consecutive patients. Presentation at the annual meeting of the American Society of Plastic Surgeons, San Diego, CA, October 25-29, 2003. Lee, JA, Conejero, JA, Parrett, B, Wear-Maggitti, Mason, JM, Grant, RT, Breitbart, AS. Lentiviral gene therapy with PDGF gene improves neovascularization and collagen quality in diabetic wounds. Poster presentation at the annual meeting of the American Society of Plastic Surgeons, San Diego, CA, October 25-29, 2003. Danikas, D, Ng, L, Breitbart, AS. Treatment of gynecomastia after massive weight loss. Presentation at the annual meeting of the New York Regional Society of Plastic and Reconstructive Surgeons, New York, New York, March 1, 2004. Park, J, Burrell, W, Man, L, Lee, J, Conejero, A, Liu, F, Mason, J, Breitbart, AS. Retroviral gene therapy with PDGF-B accelerates diabetic wound healing in a mouse model. Presentation at the annual meeting of the Plastic Surgery Research Council, Ann Arbor, MI, June 10-12, 2004. Burrell, W, Park, J, Lee, J, Man, L, Conejero, A, Liu, Schmidt, AM, Mason, J, Breitbart, AS. Single treatment of lentiviral sRAGE gene therapy is as effective as multiple topical protein dose treatment in diabetic wound healing. Presentation at the annual meeting of the Plastic Surgery Research Council, Ann Arbor, MI, June 10-12, 2004. Lee, JA, Conejero, JA, Parrett, BM, Terry, M, Wear-Maggitti, K, Grant, RT, Breitbart, AS. Use of osteogenically differentiated fat-derived stem cells to repair alveolar cleft defects. Presentation at the annual meeting of the American Society of Plastic Surgeons, Philadelphia, PA, October 13, 2004. Man, L, Park, J, Mason, JM, Burrell, W, Liu, FJ, Breitbart, AS. Lentiviral gene therapy with PDGF-B sustains accelerated healing of diabetic wounds over time. Presentation at the annual meeting of the Northeastern Society of Plastic Surgeons, Naples, Florida, January 20-22, 2005. Park, JC, Terry, MJ, Mason, JM, Man, L, Burrell, WA, Liu, FJ, Kimball, BY, Korus, LJ, Matissen, DP, Breitbart, AS. Retroviral gene therapy with the gene for soluble RAGE promotes wound healing in diabetic mice. Presentation at the annual meeting of the Plastic Surgery Research Council, Toronto, Canada, May 19-21, 2005. Terry, MJ, Park, JC, Mason, JM, Man, L, Liu, FJ, Kimball, BY, Matissen, DP, Korus, LJ, Burrell, WA, Breitbart, AS. Blockade of RAGE with lentiviral gene therapy improves healing in diabetic wounds over time. Presentation at the annual meeting of the Plastic Surgery Research Council, Toronto, Canada, May 19-21, 2005.